Fun times here at Loog! 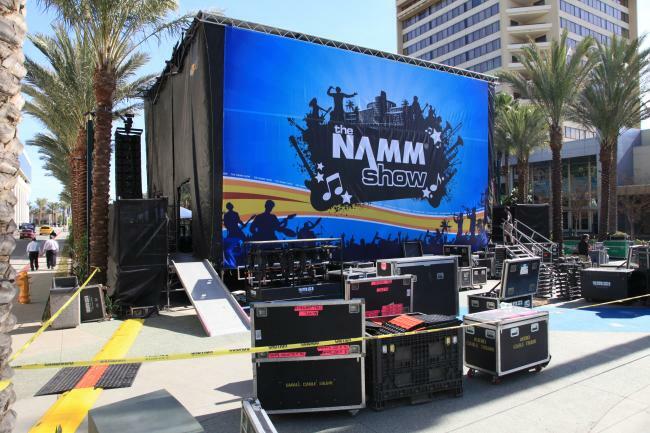 Tomorrow starts our first NAMM Show ever and we’ve been planning ahead for weeks – as you probably already know if you happen to follow us on Twitter or like us on Facebook. And all our hard work paid off. Last week we found out we were one of the 20 exhibitors (out of thousands!) selected for the NAMM Media Preview Day, where we rocked everyone’s kid-at-heart off. So what better day to make the big announcement? You read that right. We were saving it for NAMM tomorrow but we just couldn’t wait to share it with you guys: the Loog is getting a makeover. And not just any makeover. We’ll soon be launching a new, updated Loog Guitar design with awesome new features. We’re adding a new adjustable-height bridge, tackling the number one request we got from you guys (to lower the playing action) without compromising the Loog’s design. We’re shipping all new Loog Guitars with D’Addario Pro Arte strings. We’re even dropping in a preassembled education-model for schools and music institutions to further our Loog for School program. And everything will ship out in brand new packaging that’s 47% smaller than the previous generation. And as if that weren’t enough, we’re updating our line of accessories. You will soon be able to find a new, beautiful plywood guitar-stand at the Loog store as well as the long-awaited… drumroll please… Loog gig-bag!